You can adjust each shade at the neck, so that every part of the room gets that soft glow. 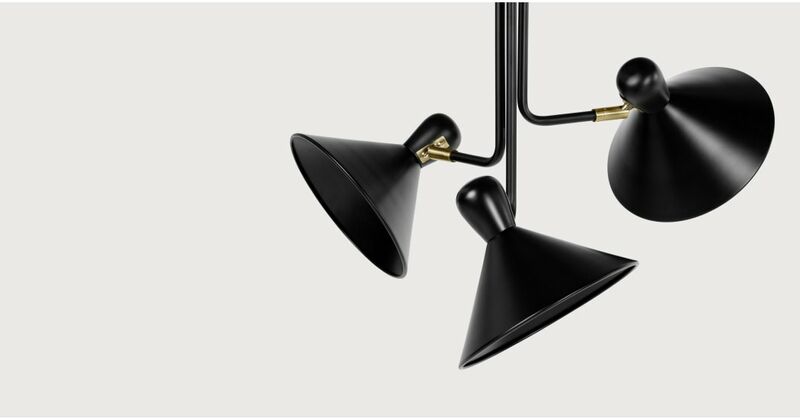 It’s modelled after gentleman’s club lighting - but with a much more affordable price tag, of course. Each conical shade casts a wide pool of light for the whole room. We’ve kept the lining black, too - it creates a more atmospheric glow.